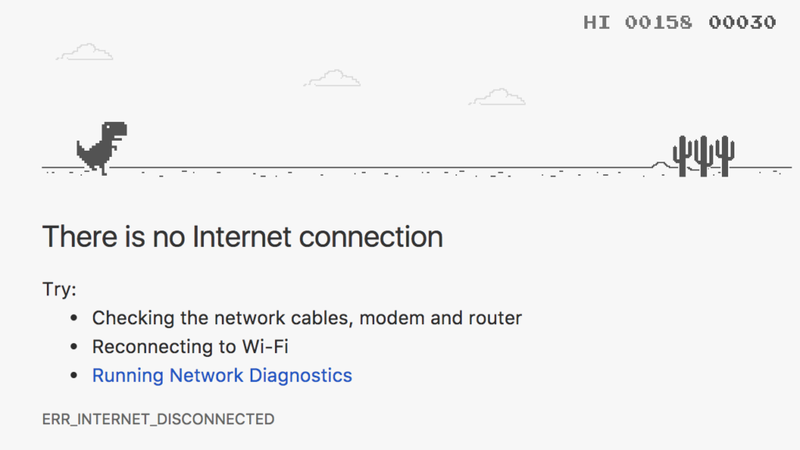 Home #LOL Steve The Jumping Dinosaur – A totally unnecessary game! 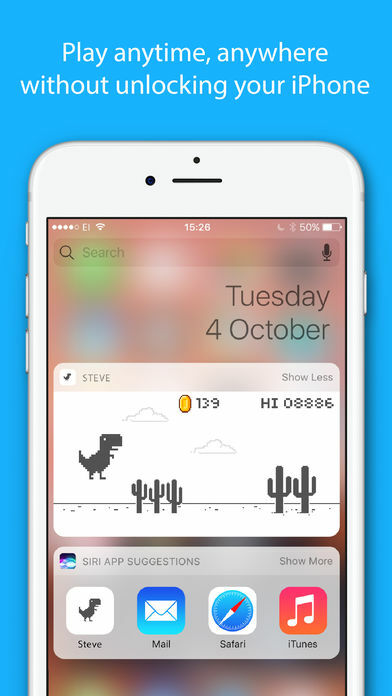 Steve The Jumping Dinosaur – A totally unnecessary game! 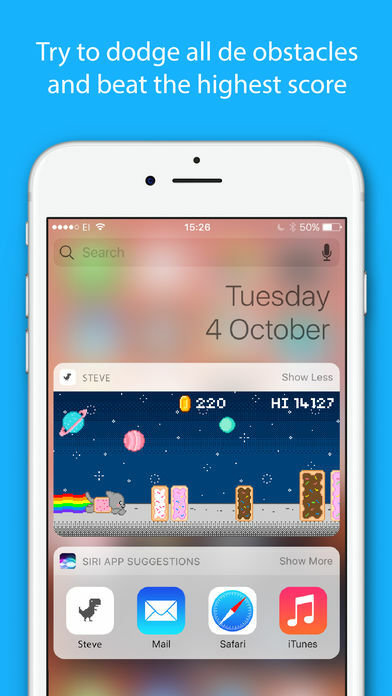 Ignoring the fact that you could just ask your friend (who probably secretly knows your passcode) to give you a hand, today we’ve got a simple game you can add to your widgets on the lock screen, giving you something entertaining to do even if you can’t remember the password to your own iPhone. What some people may not be so aware of is that this screen can be turned into a simple runner game by simply pressing the spacebar! 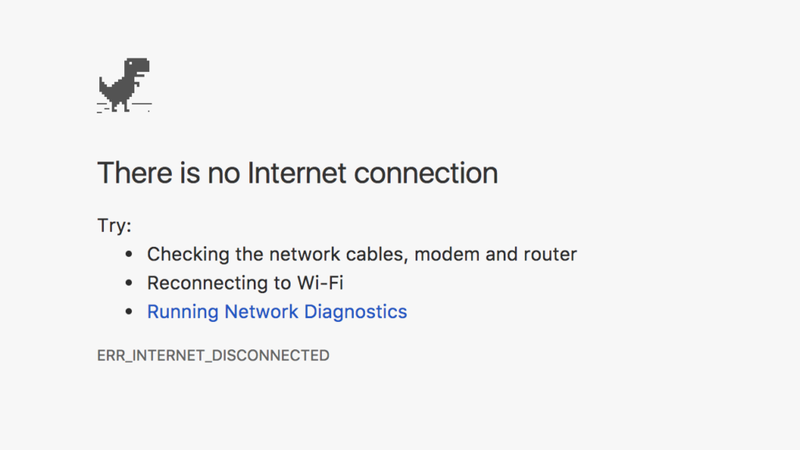 …giving bored internet lovers something to do even while they are offline…! Steve – The Jumping Dinosaur! (by Ivan De Cabo) is pretty much a clone of this easter egg of a game you can add to your iPhones lock screen, giving you and others something to do even if you don’t know the passcode to unlock anything interesting. With a few different characters for you to unlock, using the coins you can collect within the game, slightly slower gameplay which makes playing the game on mobile a whole lot easier and no Ads! 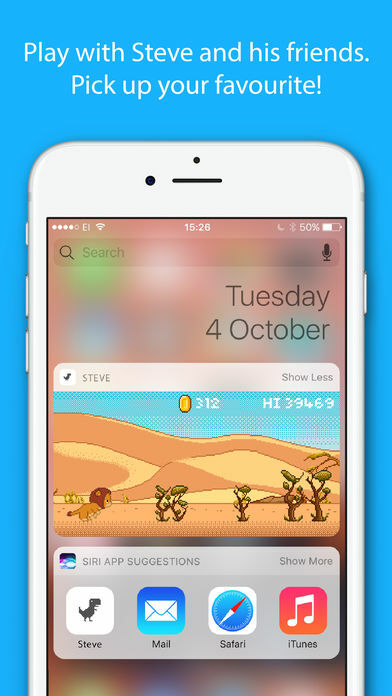 (…we’re not exactly sure if it is possible to show ads on the lock screen…) Steve – The Jumping Dinosaur! 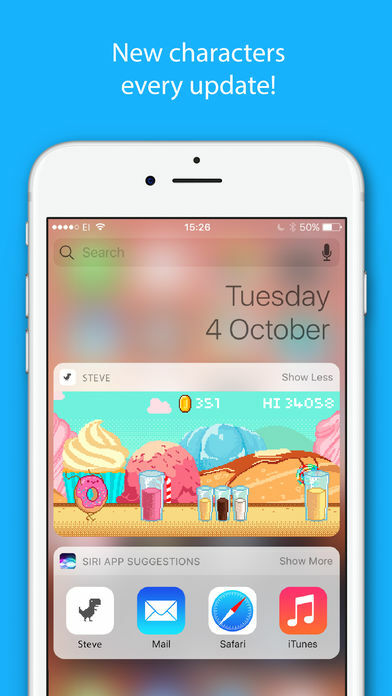 is a fast, fun, and totally unnecessary game you can add your iPhone! If jumping over cactus while offline has always been your thing, this is the one and only game that allows you to play while offline and locked out of your iPhone…! 100% unnecessary but very cool none-the-less!